The good news is there are a couple of drum kits that you can score for under $1000 that are really decent options. 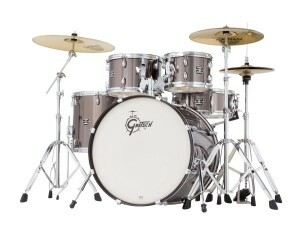 Gretsch has done a really good job of putting together a kit that offers a great deal of value. 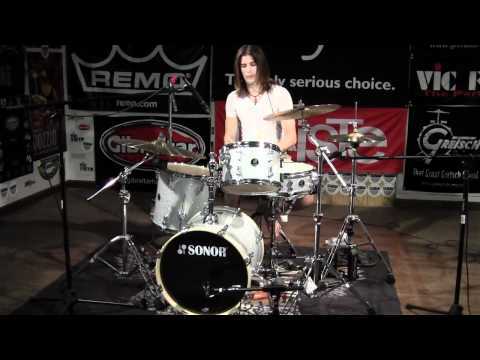 We took a closer look at the Gretsch drum kit to evaluate it for you. This review will reveal everything that you need to know about this kit so that you can make a decision about whether it is the one for you or not! But don’t forget about Sonor Bop Drums and Pearl Vision Birch Artisan II! The Sonor Bop drums make a perfect designed jazz kit when it’s combined with Sonor’s medium weight 200 series hardware pack or the 400 series hardware pack. The Sonor Bop is a 4-piece shell pack with a 16” or 18” bass drum, 12” mounted tom, 14” floor tom, and a 14” snare. Add the hardware and you’ll be able to keep the price under a $1000. Both the 200 and 400 series hardware packs are exceptionally alluring from the perspective of design. The double braced legs have long parallel lines that look very different compared to the legs on the most of the drum brands. The rubber feet are shaped like hammers, so it looks like Sonor’s mallet logo. The scaled booms have quite enough length to permit cymbals to be situated at any angle, yet no additional length that would make them look or feel strange. The bass drum pedal has a tough bass plate, a solitary chain, a round cam, and a moderately little footboard. The shell pack is available in several colours, but in our opinion Sonor’s Silver Galaxy wrap is one of the best ones available. The Bop drums were not difficult to tune, so we assume they have equally cut bearing edges. All things considered, it would be not fair to give a nitty-gritty description for the sound of these drums in light of the fact that the drumheads are pretty mediocre. Still, the toms had an acceptable tone, the bass drum had a decent punch, and the snare had a crisp crack. 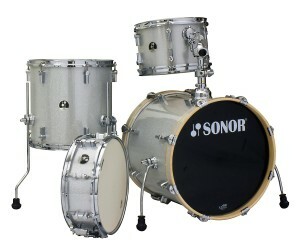 To us, Sonor drums have mostly an identifiable and unique, centered sound. These drums had that sound, even with the drumheads. In expert hands, this pack would truly sing. 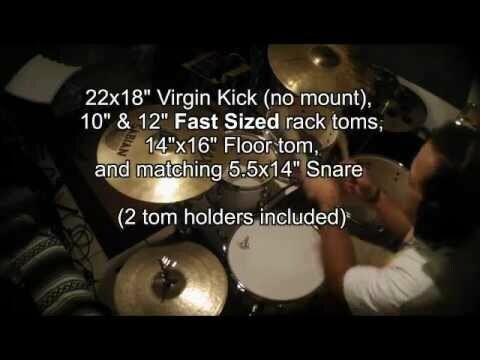 Configuration: 18″ x 16″ bass drum, 12″ x 8″ tom, 14″ x 14″ floor tom, and 14″ x 5.5″ snare. Shells/Lugs: Select poplar 9-ply 7.2mm shells with 45-degree bearing edges. Tune Safe lugs on all drums. STH 274 single tom holder kick drum mount. Hoops: 1.6mm on snare and toms. Wood hoops on the bass drum. Finish: Silver Galaxy Sparkle wrap. Red Galaxy Sparkle wrap (available fall 2012). Hardware: Medium-weight 200 series HS 275 hardware set (double-braced stands): two MBS 273 mini boom stands; SS 277 snare stand; HH 274 hi-hat stand; and SP 473 single-chain-drive pedal with double-sided beater, support board, and adjustable toe stop. Or Heavy-weight 400 series HS 475 hardware set (double-braced stands): 2 MBS 473 mini boom stands; SS 477 snare stand; HH 474 hi-hat stand; and SP 473 single-chain-drive pedal with double sided beater, support board, and adjustable toe stop. Overall Grade : An amazing sounding and looking set. However, seriously consider upgrading the heads on this set. It’ll make the set sound 10 times better. Probably the most beautiful set in this list, the Pearl Vision Birch Artisan 2 is available in several editions. 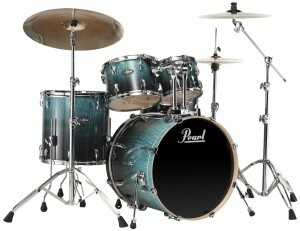 Pearls is one of the biggest drum manufacturers. 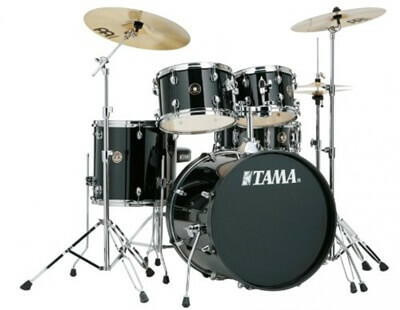 They’re known for their high quality drum sets, even in the lower price range. The Vision Birch Artisan II perfectly resembles their high quality policy. Due to Pearl’s size, it is able to manufacture its own shells, equipment, and so on, without outsourcing. This implies that when you purchase a Pearl pack, you get a few features that are unique to Pearl. The Vision Birch Artisan II series consolidates large portions of these Pearl-just features, making it an exceptionally appealing and a one of a kind decision in this price range. Although called Vision Birch, the 6-ply shells on this pack have one internal ply of birch. The remaining plies comprise of poplar, an alternate not very extravagant tone wood. Pearl uses a restrictive SST (Superior shell technology) to make these shells. They’re known to be solid and consistent. This procedure includes cutting shell plies with covering scarf joint seams, immersing each ply with Pearl’s exclusive glue, and shaping the shell in a high-temperature mold under pressure. There are two mounted toms, each mount off the bass drum into Pearl’s Bridge Type bass bracket. Drummers will either love or hate this mounting framework. We adore that the bracket has a different repository for every tom arm so that every tom can be situated totally freely of the other. This bracket doesn’t appear to have any negative effect on the sound of the kick. This 22″ bass drum sounded huge and open with a lot of volume. The rest of the set sounds amazing too, if you’re looking for a set under $1000 you should definitely go for this one. Consider a cheap hardware pack though for example the 900 series hardware pack with double braced stands. 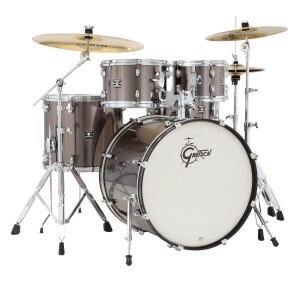 Configuration: 22″ x 18″ bass drum, 10″ x 8″ tom, 12″ x 9″ tom, 16″ x 16″ floor tom, and 14″ x 5.5″ snare (SR-900 Duo-Motion strainer can be converted from a side-lever action to a Gladstone-type throw-off). Toms have I.S.S. tom mounts. Shells: 6-ply (inner ply birch, remaining outer plies are poplar). Hoops: 1.6mm; wood hoops on bass drum. Heads: Remo Pinstripe UT batters, Pearl bottoms, and Remo Powerstroke bass drumheads. Finish: Old School Pinstripe wrap design by Nub. Vision Birch Artisan II also comes with Amber Burst Eucalyptus, Emerald Fade Eucalyptus, and Ruby Fade Eucalyptus lacquer finishes. Hardware: 900 series hardware pack (double-braced stands): C-900 straight stand; BC-900 disappearing boom stand; S-900 snare stand; H-900 hi-hat stand with swivel legs, and P-900 single-chain-drive pedal with Powershifter plate and two-sided beater. Overall Grade : Pearl has done an amazing job on this shell pack, the sound is unique and Pearl like. Probably the best set you’ll get in this particular price range! It isn’t hard to find a shell pack + hardware and end up under a $1000. However, not every set in this particular price range is of the same quality. In fact many of the sets available in this price range are of bad quality. The sets we’ve chosen for this review article are high-quality sets (sometimes a small upgrade is required) they all look like professional sets. And they feel like it. So if you’re considering to buy a relatively cheap set you should definitely take a look at these sets. Our personal favourite is the Pearl Vision Birch Artisan II, but the Sonor Bop Drums and Gretsch Energy Series will do just fine. Our advice is to follow this guide, do some extensive research and try out the drums before you buy them. But we can assure you that high quality is guaranteed with these three sets. You can find Barking Drum on Feedspot and Crunchbase. Guide to buying the best drum kit under $1000. 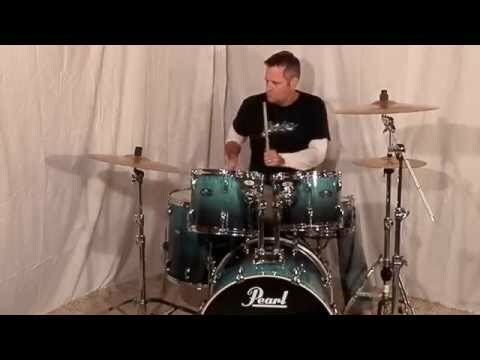 Check out the drum set reviews. All the chosen sets are high-quality and look like professional drum sets.